Watery pleasures couldn’t get more exciting when one feels the surge of power as you glide through serene waters- all 365 days weather permitting on jet skies, ATV’s, Ringo, Parasailing, Boat trips, Banana, Bayliner Discovery Cruiser & all Terrain Vehicles. 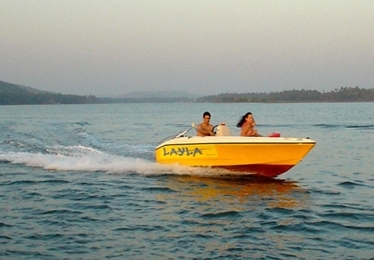 Layla - 40 Horse power engine speed boat for 2 pax @ Rs. 4950 equivalent £ 70 per trip for 45 minutes. 200 Horse power engine speed boat for 6 pax @ Rs. 6900/- equivalent £ 95 per trip for 45 minutes. 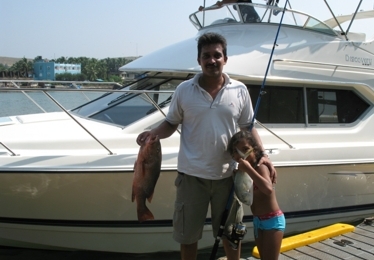 On the Bayliner Yatch Cruises ROZE we have Dolphin trip, Sunset cruise & River cruise for 8 pax @ Rs. 10,000/- equivalent £ 140 per trip per hour inclusive of water & soft drinks. 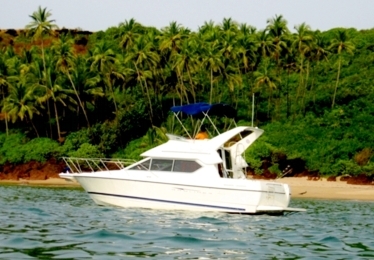 Day out Bayliner Yatch Cruise ROZE (cover 3 beaches), Butterfly Beach, Palolem & Agonda Beach @ Rs. 45000 equivalent £ 625 for 6 hours for max 6 to 8 pax inclusive of IMFL, set menu, soft drinks, beers snorkelling, fishing, bottom fishing. Special menu can be arranged at extra cost. Those who want to try their patience will be provided with some basic fishing material & bait for fishing white others can snorkel in cool shallow crystal clear water exploring the underworld. Snorkel Gear will be provided to those who don’t have one. All you need to bring is Sun Screen Lotion, Cap, polarized sun glasses, swim wear, towel & a camera. Water skies lessons for adults and kids by International professional trainers. 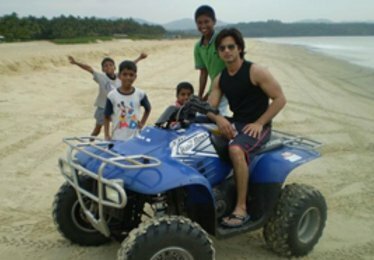 So experience the water adventure where the sun never sets on the fun.